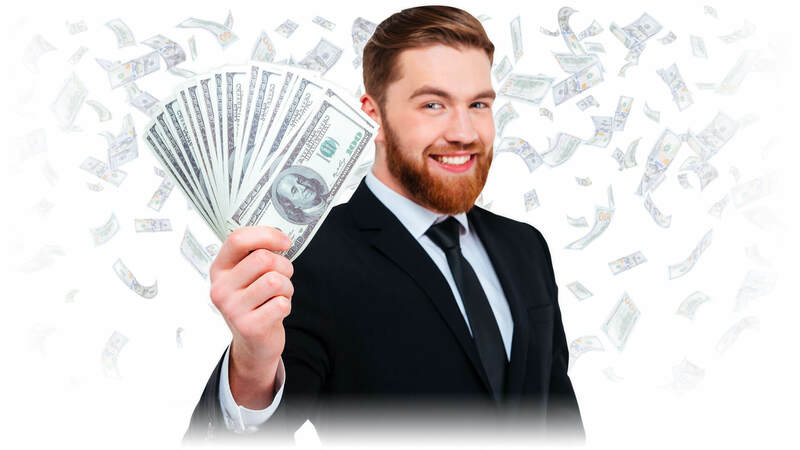 The two most important activities that you should do when learning on how to become a bookie are learning how to acquire players and signing up with a pay per head service like Realbookies.com to take your players’ bets automatically with our betting software. The more action you write, the more money you make. You will always want to add what you believe are solid players, not only to expand your business, but also to replace those customers who have proven to be bad debt or simply have been worn down by the house advantage. Understanding that the customer who wagers only $100 a game will lose $3,000 to $4,000 over the course of any given season should give you plenty of incentive to hit the bricks. If you use your time wisely, reaching a customer base of 200 or so (a little better than average) should be no problem. Getting new players is not as simple as advertising in the newspaper or sticking fliers on the windshields of cars when becoming a bookie. Nor can you just go out to the backyard, shake the customer tree, and watch them start falling to the ground. What you have on your side, however, is word of mouth. The best thing you can do to expand your client list is continue to treat the customers you already have with respect, courtesy, and professionalism-and to always pay in full, on time, and in cash. People like to talk, especially when they just spent their lunch break picking up a sack of money, and if all the talk about you is similar to that above, you will have no problems adding new players. What if you are starting out with no customers? There are still ways to maximize returns on your efforts. The first step to becoming a bookie is to understand the basic truth that gamblers know other gamblers. Think back to the first time you talked to a bookmaker. Didn’t you know somebody who was gambling and he set you up’? Or were you in the employee break room when one of your co-workers had a sports page out and was checking the lines? Nothing has changed since that time, except that gambling has become more popular than ever. If you are considering opening your own sportsbook operation, odds are you know people who gamble on sports. Some of them are probably looking for a new outlet to wager. I always told potential customers who already had a bookie that if they would try me just one weekend, they would never go back to their previous bookie, and in the 8 1/2 years I was in the business, none ever did. If you follow the guidelines on this page and conduct your business based on the information here, you will create many ex-customers for other bookies around your city. You can start a football season with as few as 10 customers, and by the time bowl season has arrived, word of mouth recommendation should swell your pay sheet to 50 or 60. At that level, even if the customers are small time, you should be employing an office clerk and a fax clerk while still leaving yourself a profit of $100,000 or so for six months of semi-work. Another way to increase customers as a bookie is to spend your leisure time where gamblers spend their leisure time. Whether it is a $1-a-hole or $500-for-closest-to-the-pin wager, money changes hands when buddies get together on the links. Visit a golf warehouse or discount store, and the clerk there should be able to provide you with the names of several local private clubs you can join. Many have stipulations that you have to be sponsored by a current member of the club, but some don’t. Find one where the membership fee is only $1,000 or so, plus monthly dues, and join. Besides improving your golf game (never a bad thing), being a member of the club will allow you to meet the other members of the club. Whether it is on the fairway or in the clubhouse, most of these men will enjoy a friendly wager from time to time. You should be discreet when divulging how you make your living, but a cell phone call from a cart while the other three are deciding which club to use will start the conversation. Being proficient at spades, hearts, gin, etc., will also provide you the chance to meet other gamblers at the club. Many older gentlemen go to the club every day to do nothing other than sit in the pro shop or locker room playing poker for eight or ten hours. Be friendly, be discreet, and, before long, you will be taking action. The same basic truth (loving to gamble) applies to most guys who play tennis, but many actually participate in that sport for health benefits, and that is not our focus here. When we say select a few “bars,” I am not talking about a T.G.I. Fridays or Chilis. I am talking about real bars. You know, the kind where when you walk in you can’t see anything for a minute or two until your eyes adjust. Real bars don’t have 143 televisions. They usually have one above the bar and one in the back room where the card tables are. Find a few establishments like this and you have also just found a couple more customers. Go in, sit at the bar, and begin watching television. When you curse a basketball player for missing a free throw when his team is up by 17, the gamblers in the joint will know why you are upset. Most likely, they will be the ones to bring up sports wagering. “Who ya’ got?” is a common opener. When you reply, “I’ve got something on every team,” the conversation is started, and pretty soon you have another reason to visit the bar. Almost without exception, small to mid-size bookies will shut down after the NCAA basketball tournament is over and not reopen until football season starts in August. You should have no problem finding a player who, toward the end of basketball season, is looking for a new place to play so that he can bet on baseball. The truly amateur bookie will think only of adding one new customer and, while taking on the new guy, will promise not to tell his regular bookie that he has gone somewhere else. What you should be doing in situations like this is not only have him tell his regular bookie about you, but ask that he put you in touch with his regular bookie. At this point, you can present a no-risk offer to the bookie who is planning to stop taking action for a while. What you propose is that he tell all his current customers that he will be shutting down for baseball, but that if any of them want to get action on the games, he can recommend someone who is staying open. Explain to the bookie that you will keep a separate record of whatever money, as a group, his customers wind tip collecting as a net winner or paying as a net loser. If they finish the season on the plus side (they won’t), you will pay out every penny. If they finish the season on the negative side (they will), you and he will split the profits 50-50. All he has to do is meet with you each Tuesday morning to get the figures and then go pay or collect from the guys he put on. It will cost him nothing. He will have to do almost no work. He will make money. Make sure the bookie realizes that in no way are you trying to snake his customers, just make money for both of you. He is planning on being closed anyway and, if he does it his way, he makes zero dollars for the summer. Do it your way and he makes many dollars for the summer. Abiding by that agreement will, at the very least, be a money maker for a few months for you and the other bookie (now a “sub-book” to you). What normally happens is the bookie (a lazy creature by nature) will realize that he made a bucket of money for working one day a week, and when August creeps over the hill, will suggest that you two continue the arrangement. Do this once a year and you will be extremely wealthy. You know the best part of this deal? With the extra money you get from this sub-book’s customers, you will be able to more than pay for another clerk, and now you won’t be working every day, either. Becoming a member of a VFW or Eagle’s lodge or similar organization is another fantastic way to grow your bookie business. I had been a bookie for seven years when I joined one just north of Atlanta, and within two days, they had taught me new ways to gamble on sports. The bartender was the guy at the lodge who organized all the betting there, and he was confused by it, more than anything else. He was happy when someone came along offering to help. “Helping” quickly turned into I had 53 new customers as a result of paying my $200 initiation fee. Besides being served semi-warm beer and having to listen to much more Hank Jr. than I ever knew existed, there was little downside to it. Finally, I have acquired customers in a variety of other ways. Bookies have died, gone semi-legit, gotten married, gotten scared, or gone to jail (nongambling-related charge). Hell, one buddy of mine decided that having to work three hours a day was just too much for him. For whatever the reason, if you can beat the bushes and open with even 10 or 12 guys, you will have 50 before you know it. At that point, you are making a decent enough chunk of change to hire a clerk to work with your pay per head software service. You can then justify making him work all the shifts by himself, as you are out “recruiting new customers”.